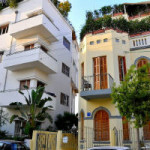 Tel Aviv is a wonderful city with a rich variety of architectural styles. While the city is most well known for its collection of international style buildings the city also has many other amazing architectural styles on display throughout the city. These styles include Eclectic, Brutalist, and Contemporary. One of the best examples of eclectic architecture in Tel Aviv is the Pagoda House. The eclectic style gets its name from the mixture of different styles that it uses. The Pagoda house is a wonderful example of this. This house utilizes elements from a wide variety of styles that represent a huge number of different regions. The house includes Islamic Arches and Greek Columns. The house is also inspired by the Chinese Pagoda. 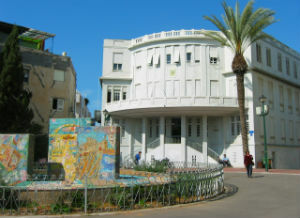 There are almost 800 Eclectic style structures that stand in Tel Aviv today. This style perfectly represents the city as a place where the lands of the East meet the lands of the West. The style is one of the trademarks of the city and you are sure to find it wherever you look in Tel Aviv. The International Style is extremely popular in Tel Aviv. The international style features white structures. This style was extremely popular from the thirties to fifties and you are sure to find international style buildings wherever you look in Tel Aviv. 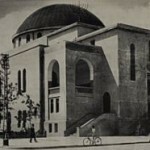 There are more than 4,000 international style buildings in Tel Aviv, which earned the city the title of “the White City“. These buildings have made Tel Aviv a World Heritage Site. Brutalism was an extremely popular movement in the 1960’s. These buildings are known for their exposed concrete and geometric repetition. One great feature of the brutalist buildings is that they are typically tall and give impressive views of the Israeli coast. You are sure to see several brutalist buildings throughout the city of Tel Aviv. Go here for a guide to brutalist architecture. The nineties brought on a new architectural movement that has changed the way Tel Aviv looks. This movement is known as the contemporary movement. The movement has included vast skyscrapers as well as smaller buildings that incorporate sharp angles. These buildings look truly unique and they stand out among the other buildings in the city. Today Tel Aviv contains a truly diverse set of architecture. This architecture is mixed together creating a wonderful juxtaposition. You may see an international style building next to a contemporary style building or a brutalist building next to an eclectic style building. 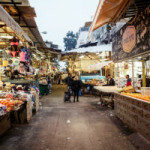 This mixture of styles has made Tel Aviv a truly unique city to visit and to live in. 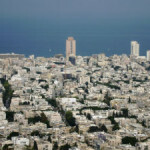 You are sure to spot something interesting when you take a look at the buildings in Tel Aviv.